Saturday, July 13th 9:00 a.m. to 5:00 p.m.
Sunday, July 14th 10:00 a.m. to 4:00 p.m. The LNA Coin Show is scheduled for the weekend of July 13-14, 2013. Scheduled to participate are approximately 20 dealers from 5 states who will display and have for sale extensive inventories of coins, currency, medals, and artifacts. Also available for sale are stamps, old bonds, tokens, Civil War memorabilia, old advertising cards, jewelry, and coin storage products. Saturday, July 12, 2008 9:00 a.m. to 5:00 p.m.
Sunday, July 13, 2008 10:00 a.m. to 4:00 p.m. The annual Louisiana Numismatic Association Coin Show is scheduled for the weekend of July 12-13, 2005. Scheduled to participate are 2 dozen dealers from 7 states who will display and have for sale extensive inventories of coins, currency, medals, and artifacts. Also available for sale are old bonds, tokens, Civil War memorabilia, old advertising cards, and coin storage products. Gold and Silver Coin Raffle! Free Educational Seminar will be conducted on Sunday at 1:00 p.m. There will be prizes for all who participate! For more show information, contact Bob Eddy, Show Chairman, at (504) 455-7078. April 14-15, 2007 Hope you made it! Free educational seminar was conducted by Rick Demers and Eric Leonard on the "Presidential Dollar Coin Program"
Excellent attendance both Saturday and Sunday, especially Sunday! We received positive feedback from both dealers and patrons. Great job, Bob Eddy, Linda Eddy, Rick Demers, Ed Cruse, Steve Barnes, Rusty Pancamo, Ruth Young and all those who helped to set-up, take-down, and run the show. The Crescent City Coin Club has a long-held reputation for hosting good shows, and this was another success! Free educational seminar was conducted by Rick Demers on "Obsolete U.S. 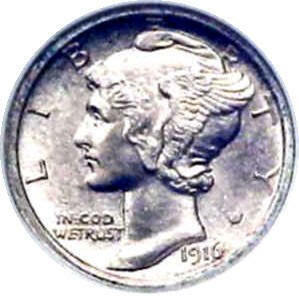 Coin Denominations"
Approximately 350 attended with positive feedback from both dealers and patrons. Great job, Bob Eddy, Linda Eddy, Rick Demers, and all those who helped to set-up, take-down, and run the show. The LNA - Louisiana Numismatic Association Show or "LNA Show" was held on July 8-9, 2006. There was excellent attendance and everyone was glad to take another step toward getting life in New Orleans back to normal. A free Educational Seminar was conducted by Rick Demers entitled, "Safe Handling and Storage of Coins" (conducted both Saturday and Sunday). The Spring show is known as "Coinival" which makes reference to a coin show held near Carnival or Mardi Gras. Get it? Coin + Carnival = Coinival. Anyway, the Spring show was the first show since Coinival 2005 back in April 2-3, 2005. This was due to the record-breaking hurricane season of 2005. Over 300 patrons attended the show and the feedback from the dealers was overwhelmingly positive! Because of where Hurricane Dennis was projected to hit the Gulf Coast and also due to its fluctuating between Category 3 and 4, the dealers who were coming from the east of New Orleans expressed concern about their participation. This was due to two main reasons: 1) they could now quickly return to evacuate personnel and certain possessions and 2) being caught-up in contra flow/evacuation traffic that would have limited their ability to travel. This may have caused them to be stuck in traffic on the highways or stuck in motels with all of their merchandise. These dealers would not have attended the show. At least 3 dealers from the west of us cancelled due to the same traffic reasons with contra flow possibly in effect. As of Thursday evening, the last opportunity to cancel the show, Hurricane Dennis still had a 13% chance of producing high winds such as Tropical Storm Cindy had earlier in the week. The dealers agreed with the cancellation under those possible conditions, and also the fact that we had no idea of the effect on public attendance (but knew that it would be significantly reduced). This decision was made by both Officers of the LNA and Crescent City Coin Club. We will make no attempt to reschedule the LNA Show because 1) we are still in the hurricane season, 2) other shows already scheduled, and 3) previous dealer commitments. Our next coin show will in November 2005 as scheduled. The Spring show is known as "Coinival" which makes reference to a coin show held near Carnival or Mardi Gras. Get it? Coin + Carnival = Coinival. Anyway, the Spring show is typically in April. A free Educational Seminar was conducted on both Saturday (11:00 a.m.) and Sunday (1:00 p.m.); same seminar, just two different chances to attend. Everyone was welcome and there was fun, prizes, and learning for everyone who participated! 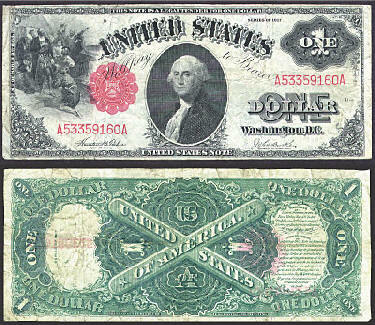 U.S. Paper Money was again the topic of the free Educational Seminar and was conducted by Eric Leonard. The Fall show is known as the Fall show (what a creative naming convention!). Typically, the Fall show is in November. A free Educational Seminar was conducted on Saturday at 11:00 a.m. and Sunday at 1:00 p.m. (same seminar, just two different chances to attend). Everyone was welcome with fun, prizes, and learning for everyone who participated! 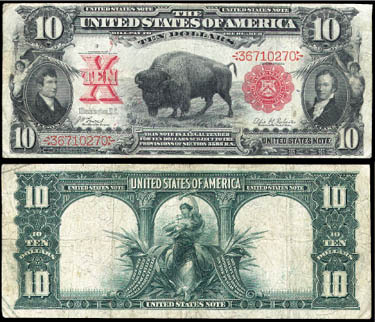 U.S. Paper Money was the topic of the free Educational Seminar and was conducted by Eric Leonard. The LNA - Louisiana Numismatic Association Show or "LNA Show" is scheduled for July 10-11, 2004. A free Educational Seminar was conducted on Saturday at 11:00 a.m. and Sunday at 1:00 p.m. 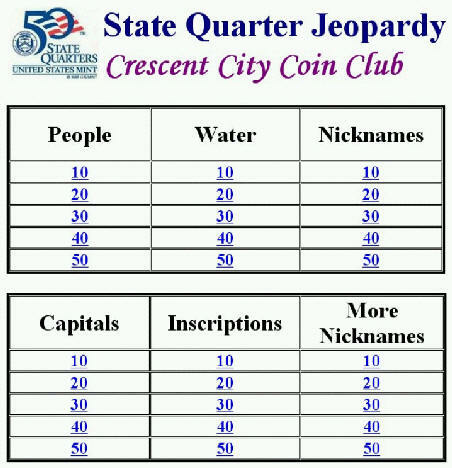 The seminar was a follow-up to the State Quarter Jeopardy which was conducted in April 2003 and featured only 20 state quarters. This time, the State Quarter Jeopardy featured 30 state quarters (Delaware through Wisconsin). Everyone was welcome with fun, prizes, and learning for all who participated! State Quarter Jeopardy was the topic of the free Educational Seminar and was conducted by Eric Leonard. The Spring show is known as "Coinival" which makes reference to a coin show held near Carnival or Mardi Gras. Get it? Coin + Carnival = Coinival. Anyway, the Spring show is typically in April. A free Educational Seminar was conducted on both Saturday and Sunday at 1:00 p.m. each day (same seminar, just two different chances to attend). Everyone was welcome and there was fun, prizes, and learning for everyone who participated! 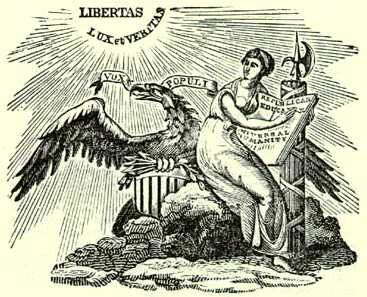 Lady Liberty was the topic of the free Educational Seminar and was conducted by Eric Leonard. The Fall show is known as the Fall show (what a creative naming convention!). Typically, the Fall show is in November. A free Educational Seminar was conducted on both Saturday and Sunday at 1:00 p.m. each day (same seminar, just two different chances to attend). Everyone was welcome and there was fun, prizes, and learning for everyone who participated! Bicentennial of the Lewis & Clark Expedition was the topic of the free Educational Seminar and was conducted by Eric Leonard. The LNA show had 609 collectors of all ages, levels, and backgrounds in attendance! 27 dealers from 7 states offered a wide variety of United States, foreign, and ancient coins. There was also currency, medals, tokens, Civil War artifacts, old advertising cards, and coin storage products. 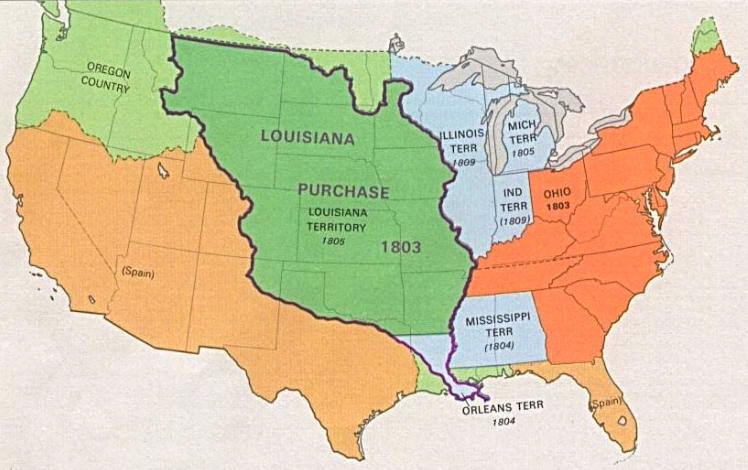 The free Educational Seminar, Bicentennial of the Louisiana Purchase (available for download in PDF format), was conducted by Eric Leonard on both Saturday and Sunday with a total of 36 in attendance. The Spring show or Coinival had 429 collectors of all ages, levels, and backgrounds in attendance! Dealers from no less than 5 states offered a wide variety of United States, foreign, and ancient coins. There was also currency, medals, tokens, Civil War artifacts, old advertising cards, and coin storage products. The free Educational Seminar, State Quarter Jeopardy (available for download in Compiled HTML format), was conducted by Eric Leonard.